Tesco has today revealed the list of 43 stores that it intends to close – with three North East branches among their number. Eighteen of the stores to be closed in March and April are Tesco Express branches, including those in Whitley Bay and Hartlepool’s York Road. Of the seven superstores to go, one is in the Northumberland market town of Bedlington. The remaining branches to be shut include 12 Metro stores, and six Homeplus shops – Tesco’s non-food-only format, similar to Asda Living. The Homeplus closures are not a complete surprise, as rollout of the format has been slow (with only a dozen or so shops currently trading), and speculation as long ago as 2012 that the concept would be scrapped due to poor trading and unfavourable leases. The closures of selected Express, Metro and superstore branches must come down to local factors, however – a poor choice of location, perhaps, or just too much competition (whether from other Tesco stores or an increasingly aggressive field of competitors). Of the North East stores, the 2,905 sq ft Whitley Bay Express opened in 2004 in premises that were previously Superdrug. 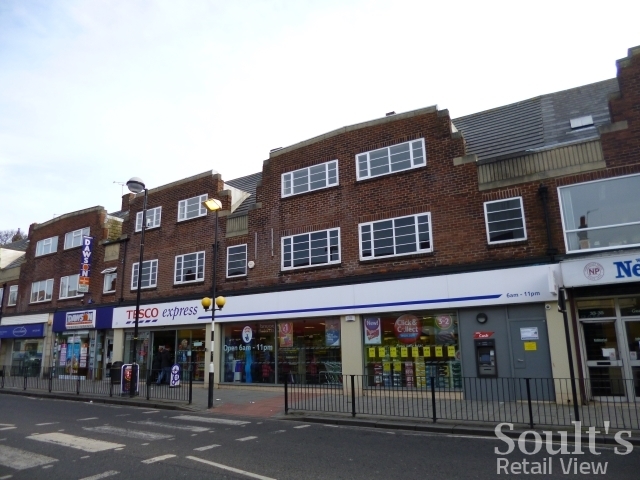 Tesco has a 15-year-lease on the ground floor (running until December 2019), at an annual rent understood to be £50,000. 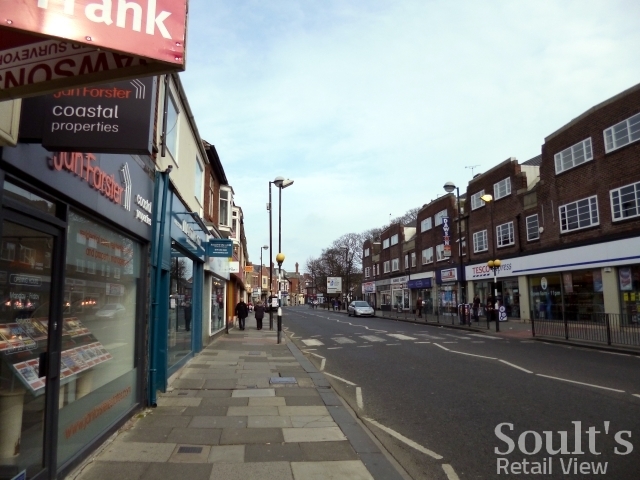 One suspects that the opening of a (better-located) Sainsbury’s Local around the corner in early 2010 – taking the former M&S Simply Food spot – has provided more robust competition in recent years. Indeed, Whitley Bay town centre is spoilt for choice supermarket-wise, with Iceland right next to the Sainsbury’s Local and a Co-op opposite, plus a Morrisons superstore in the former Safeway nearby. A touch off pitch, the Tesco site might lend itself to a discount retailer of some kind – B&M already does well at the opposite end of town (in the old Woolworths), but none of the big-three single-price retailers (Poundland, Poundworld and 99p Stores) are represented yet. Alternatively, it may provide an opportunity to extend Whitley Bay’s buzzing Park View independent quarter. In Hartlepool, too, there’s no shortage of non-Tesco grocery options in the town centre – Morrisons and Asda have edge-of-centre superstores, while Iceland, Heron Foods and all three big single-price retailers, as well as Home Bargains and Wilko, are represented in the nearby Middleton Grange shopping centre. Though less of a threat, as yet, than the rise of Aldi and Lidl, the growing move into grocery by the value variety stores is another factor that has nibbled into sales at Tesco and the other big-four supermarkets. Facing a pedestrian route just off York Road, the Hartlepool Tesco Express store also suffers, perhaps, from not being with the other 90% of town centre shops in Middleton Grange, and from a comparative lack of town centre housing in the vicinity. It’s a decent, modern unit, however, though I can’t necessarily see another grocery name snapping up the site – if anything, the location and size lends itself to restaurant use, for which Hartlepool is currently underserved. 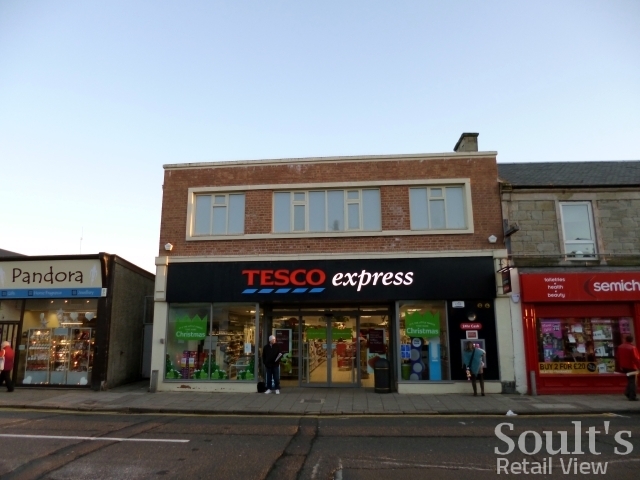 Bedlington’s Tesco superstore, in the town’s Market Place, is arguably the most controversial closure, as it has traded for well over thirty years under five different fascias – Presto, Safeway, Morrisons, Somerfield and, since 2007, Tesco. Plans to redevelop the site with a much larger Tesco store have been bubbling away since at least 2010; in November last year, local MP Ian Lavery launched a campaign to get Tesco to come good on its promises, with the retailer pledging at the time to give an update “very soon”. Pulling out of the site entirely was not, perhaps, the update that locals had expected, though at least the move finally makes Tesco’s intentions clear, and frees up a potential opportunity for somebody else. Certainly, of the three North East sites, this is the one that seems most likely to be reoccupied by another food retailer. Although the town now has a Morrisons in its ex-Netto, the Tesco site remains at the heart of the town, has a car park adjacent, and could lend itself (perhaps after subdivision) to a value operator such as Iceland or Heron Foods. Finally, among the Tesco store closures elsewhere in the UK, I must give an honourable mention to Troon, in Ayrshire. Opened in 2010, the town’s Tesco Express store occupies the building that used to house Woolworths. Snapped when I visited the town back in November 2012, it looks like I’ll have to pay a return visit to see whatever it becomes next. For now, it will be joining the one in six of collapsed Woolworths stores that are already on to their second or more occupant – a reasonably impressive rate of churn, six years on from the chain’s closure. Superstores: Bedlington; Chatham; Connswater; Cregagh Road (Belfast); Doncaster; Kirkcaldy; Wrexham Dodds Lane. Homeplus: Bristol Cribbs Causeway; Chelmsford; Chester; Edinburgh; Southampton; Staines. Metro: Bicester; Bootle; Caerphilly; Crossgates; Devizes; Grangemouth; Mexborough; Morecambe; Ormskirk; Runcorn; Smethwick; Woodseats. Express: Bearwood; Belvedere; Church Street, Ballymena; Heaton Chapel; Heybridge, Essex; Houghton Regis; Liverpool Kensington; Longbridge Road, Barking; Northfield, Birmingham; Raymouth Lane, Worksop; Sheffield Manor; South Tottenham High Road; Tredegar; Troon; Walsall Wood; Wealdstone; Whitley Bay; York Road, Hartlepool. Tesco were due to open a shop in Fishergate Preston in the Autumn of 2014. They knocked three small units together and then, a few weeks into the demolition the missing money scandal kicked off and there has been no work since. I wonder how many other shop developments have been frozen or abandoned? Tesco Metro in Crossgates has traded well since the 60s when the Crossgates/Arndale Centre first opened it begets belief that it’s unprofitable. It’s a shame though for the poor staff and of course the customers, especially the elderly and vunerable who may not be able to get to another supermarket easily. Same thing happened to the one in Farnham and (I think) Aldershot where it was originally an International – another blast from the past! I’d forgotten about Presto, there used to be one (briefly) in Farnham. I get the impression Presto was more northern – a lot of the old Safeways in the North East were Prestos originally! Presto were owned by Argyll foods who also owned Liptons, and were mainly Northern based. Argyll bought Safeways in the mid 1980’s to give them a national chain of supermarkets as Safeway were mainly Southern based, with their HQ near Maidstone, Kent. I was coming out of the Presto on the A45 in East Birmingham in the 80’s to see a low flying Jumbo Jet with a Space Shuttle piggy backing on the back of it. It was on a tour of the UK and had just left Birmingham Airport. When they bought Safeways I was working in the office of a major FMCG company and Argyll, who were very hard negotiators accused the company of charging Safeways more for the product than they had been charging Argyll, I had the job of analysing the sales, cost prices, advertising contributions and any retrospective payments to produce figures to bat away a claim for a large bucket load of discount. Safeway was eventually bought out by Morrisons.